ONE of the great rivalries of the last decade will add another dramatic chapter on Saturday night at the SCG. Sydney and Hawthorn, combatants in the 2013 and 2015 Grand Finals, will play for a spot in the top four in the last round of the season. 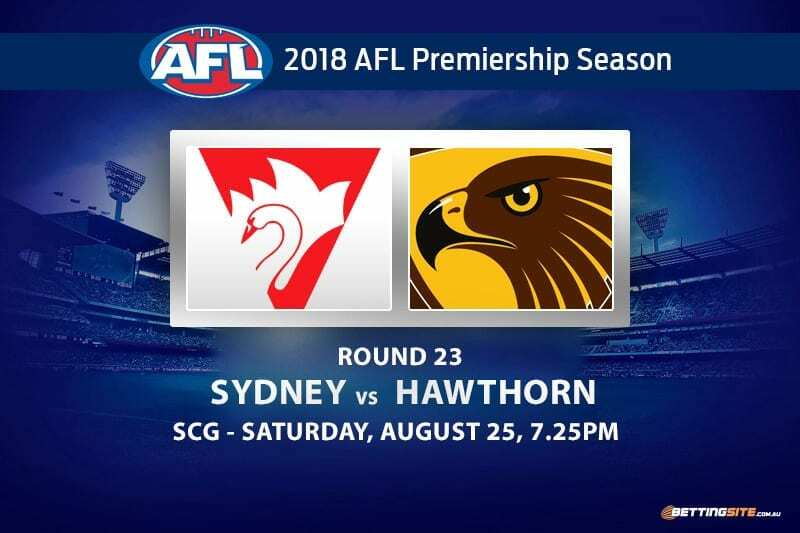 The Swans have the opportunity to usurp the Hawks of their current top four position, while the Hawks still can finish as high as second on the ladder by the conclusion of Round 23. The biggest factor entering this match is whether Lance ‘Buddy’ Franklin will play. In the final minutes against the Giants last week, Franklin was seen suddenly heading to the bench with a groin complaint. Sydney head coach John Longmire stated at his weekly media conference that Buddy Franklin is every chance to partake in the game, unless he cannot get through a week of light training. Apart from Lance Franklin, there are still plenty of injuries floating around both camps. Sydney will still be without Nick Smith, who is recovering his back, and Callum Mills, whose leg is still healing from a break earlier in the season — both are pillars in the Swans’ back six. 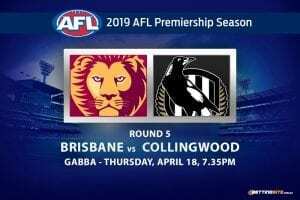 Hawthorn also carry injuries to stars such as James Sicily, who is still stuck with a sore wrist, and its captain, Jarryd Roughead who wasn’t able to play due to an ankle complaint last week. 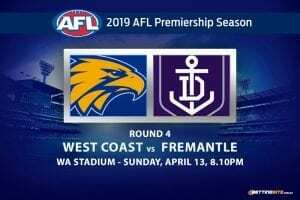 In the past three matches between the sides the biggest win was by eight points, which was the most recent clash back in Round 11 this year. The Hawks have won two of the last three, both by just one goal. 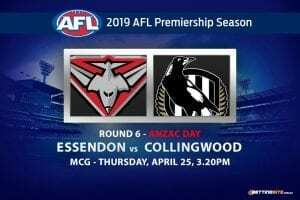 This match is destined to be one of Round 23’s best on offer. Here are our tips for the clash. The best player to back in the disposal market this season, Jake Lloyd never lets down a smart punter. The odds that you can find for Jake Lloyd each week are ridiculous at times. For a player that averages 28 touches per match, to be paying $2.00 to get 30 is very healthy. Lloyd loves to get cheap kicks and is utilised by Sydney on most occasions to get the ball out of the danger zone. A very cheeky tip if you are considering any player other than Tom Mitchell. A big game player will always pull through when the match is on the line. If the Hawks find themselves against the ropes in this match, Shaun is normally the first player to lift in intensity and class, proving he is still a crucial player in the Hawks’ best 22. This will certainly be a close match, with that in mind, the $3.20 value is very desirable. The Swans have lost their intimidation factor at the SCG this season, dropping quite a few games on their home turf. This year, they tend to start strong, then dwindle away as the contest progresses. The Swans are capable of kicking the first five in this match, as they did back in round eight this season. If Franklin plays, this punt becomes a far safer option than the Hawks. Until the second half of the Sydney match last week, the Swans were kicking very low amounts of goals and behinds. When they came out after halftime, something must have happened in the rooms because they proceeded to smash the Giants and close out the game. Hawthorn kicked more behinds in its first half then the second, as the forwards straightened up their set shots. If the same situations occur again this week, the Hawks could kick more early behinds than the Swans. 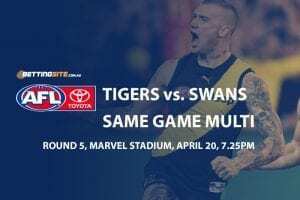 The match in round eight was close and won in the last quarter by the Swans, who kicked five goals to one in the final term. 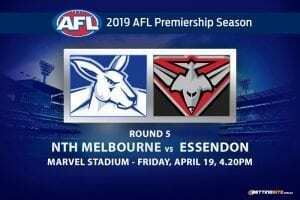 The interesting fact about the match was that the score totalled to exactly 150-points when the final siren blew. If this week’s match is just one point higher in total, the massive $6.50 odds are in play. 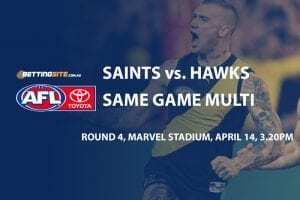 The simple fact is that Lance Franklin is more likely to play injured or not play at all, which both indicate that the Hawks will have the advantage. If Franklin does play and looks fit, the Swans are more likely to win the match.